Deezer has announced the release of the second video taken from Southern Wild’s Deezer Live Sessions. The first of its kind to be recorded in South Africa. Earlier in 2017, Southern Wild was selected to participate as one of four South African artists in Deezer Next, a global initiative designed to discover and promote new talent from South Africa and beyond. The band’s debut album “Lead Role in a Classic Horror” was released exclusively on Deezer and, in the short time since release, has reached over 300 000 streams on Deezer in countries such as Germany, Brazil, France and South Africa. A 3-track live EP is being released along with the second video “In A Classic Horror” which will be available exclusively on Deezer and which is the first Deezer Live Session EP to be released in South Africa. Featured tracks on the EP include “Darkness at My Heels”, “In A Classic Horror” and “Time Eraser”. Southern Wild is a four-piece soulful rock band and consists of David van Vuuren (vocals, guitar), MJ Breytenbach (guitar), Alex Smillie (bass) and Dylan Hunt (drums). The idea of Southern wild was born through a dream in early 2015. Since then, the band has played some of the most prestigious SA festivals including Oppikoppi, Up The Creek and River Republic. Heavily focused on feel & progression, this band gives absolutely everything each time it hits the stage. 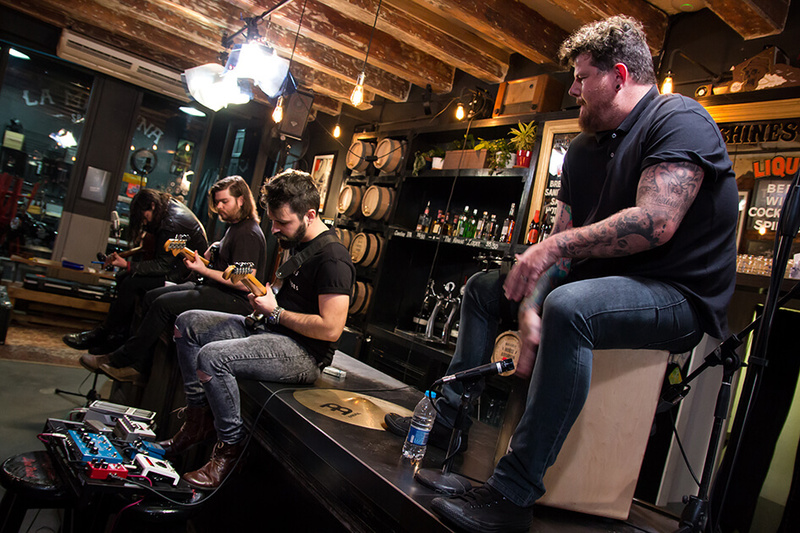 Deezer Live sessions offer fans the opportunity to see a rare acoustic performance by bands, including Southern Wild which is known for its energetic performances. The Deezer Live Sessions will present new arrangements never before seen or heard and so, for this reason, the band was filmed in a small, intimate location with a unique setup. All three videos were shot at The House of Machines in Cape Town and directed by renowned SA filmmaker Riordan Allen, the brainchild behind Bob Loves Dylan, and form part of a series of one-shot takeaway shows that feature emerging local and international artists. Deezer connects 12 million active users around the world to over 43 million tracks. Available in 185 countries worldwide, Deezer gives instant access to the most diverse global music streaming catalogue on any device. Deezer is the only music streaming service with Flow, the unique mix of all your old favourites and new recommendations in one ever-changing stream. Based on an intuitive, proprietary algorithm and created by people who love music, it’s the only place to hear all your music back-to-back with fresh discoveries tailored to you. Deezer is available on your favorite device, including smartphone, tablet, PC, laptop, home sound system, connected car or smart TV. Making music happen since 2007, Deezer is a privately held company, headquartered in Paris with offices in London, Berlin, Miami and around the world. Deezer is available as a free download for iPhone, iPad, Android and Windows devices or on the web at deezer.com.